This doll belonged to a teacher who lived in Russia and Poland. 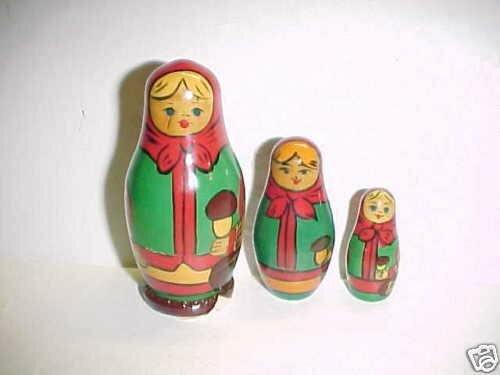 This 3 piece set measures just over 4” and features blond girls dressed in green and red and holding large mushrooms. The overall condition is good – there is some missing paint and flaking.